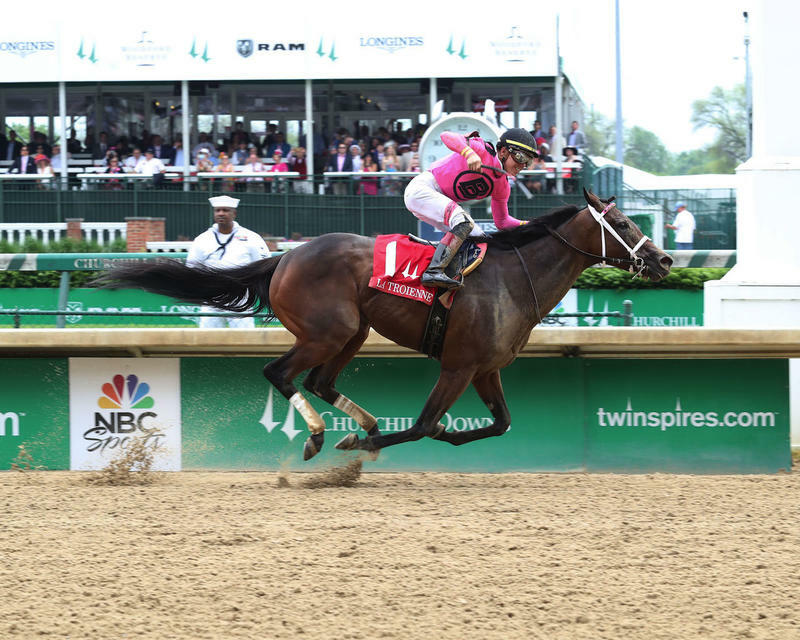 LOUISVILLE, Ky. (Friday, May 4, 2018) – Gary Barber Baccari Racing Stable and Chester Prince’s Salty wore down a game, front-running Farrell to win the 33rd running of the $350,000 La Troienne presented by TwinSpires.com (Grade I) for fillies and mares by 1 ¾ lengths with 2017 Longines Kentucky Oaks (GI) winner Abel Tasman finishing fourth. Trained by Mark Casse and ridden by Tyler Gaffalione, Salty covered the 1 1/16 miles on a fast main track in 1:43.78. 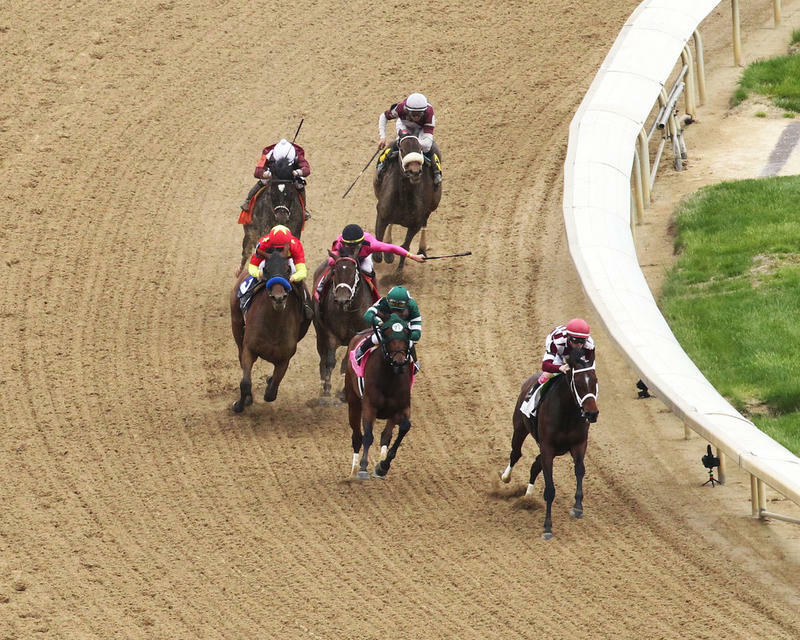 Farrell led the field of six through uncontested fractions of :24.70, :48.86 and 1:12.12. 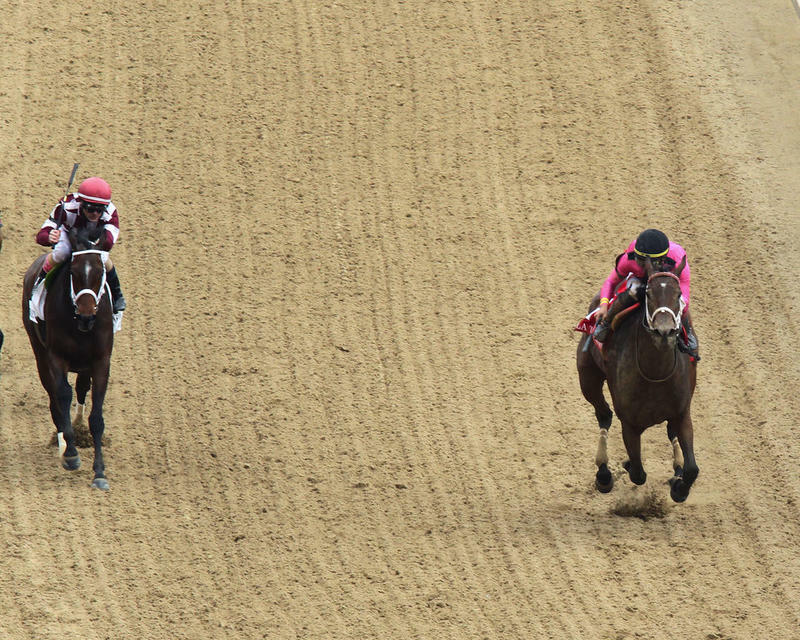 At the head of the stretch, Farrell shook off a challenge from Martini Glass and again spurted clear. 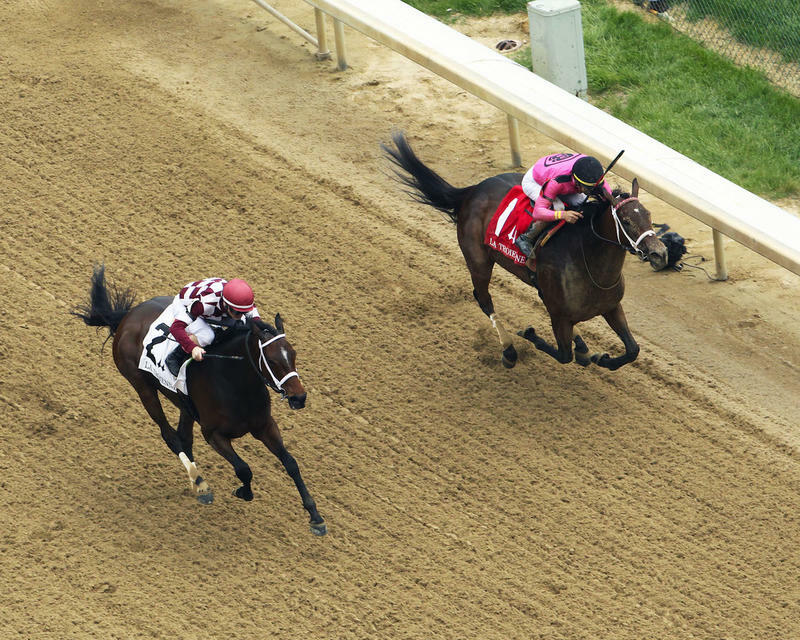 Gaffalione, who was winning his first Grade I race, took Salty down toward the rail and slowly wore Farrell. 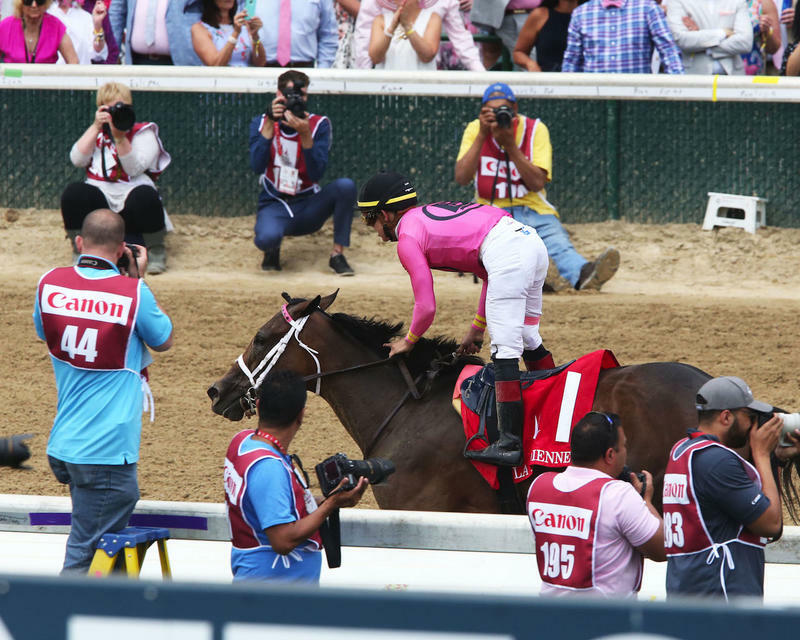 The victory was worth $214,830 to $688,500 with a record of 11-4-2-2. 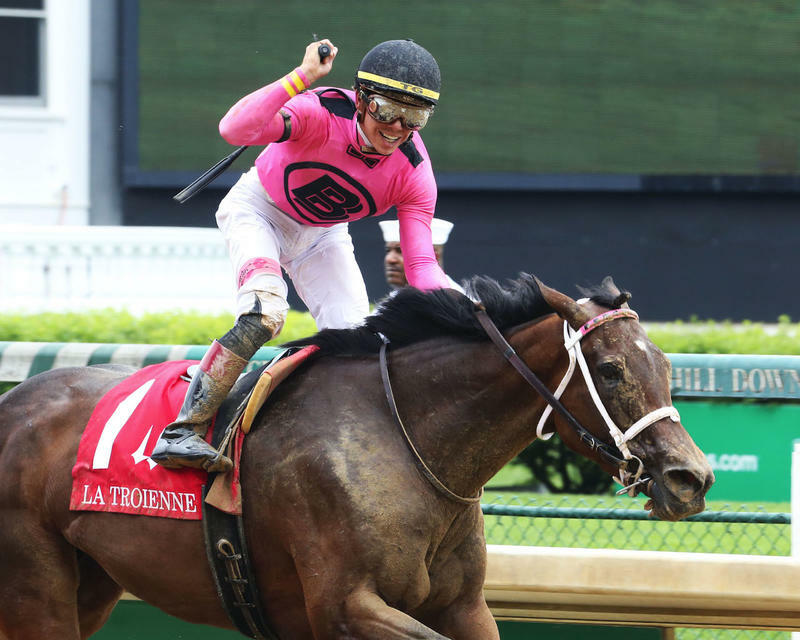 It is the second graded-stakes win for Salty, who took the Gulfstream Park Oaks (GII) last year. 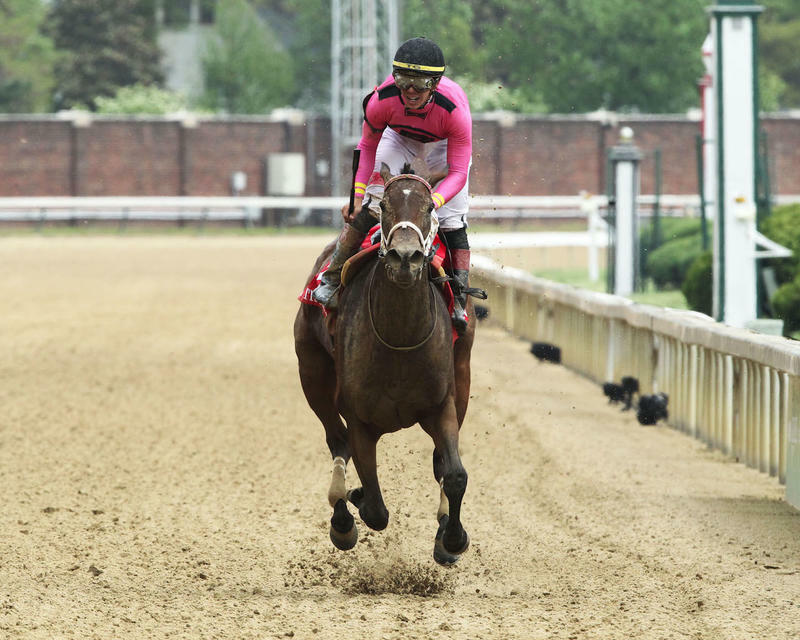 Salty is a 4-year-old Kentucky-bred daughter of Quality Road out of the Dixie Union mare Theycallmeladyluck. Salty returned $10.40, $5 and $3.40. Farrell, with Channing Hill up, returned $11.40 and $5.60 with Martini Glass finishing third under Paco Lopez another 1 ¼ lengths back and paying $3 to show. Abel Tasman finished another neck back in fourth and was followed in order by Tiger Moth and Streamline. 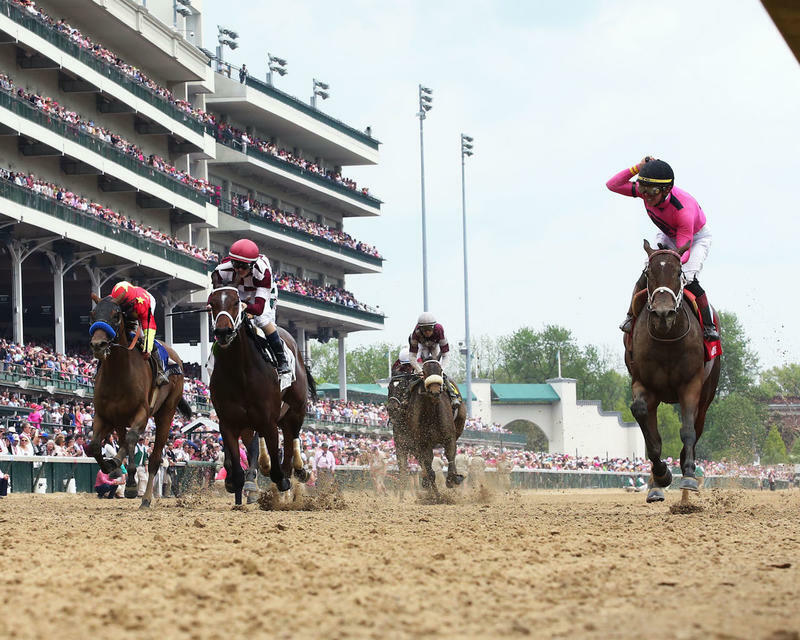 "We just handicapped this race and Saturday’s Humana Distaff (GI). I thought, and Gary did as well, if there was ever a time to take on Abel Tasman it was today. 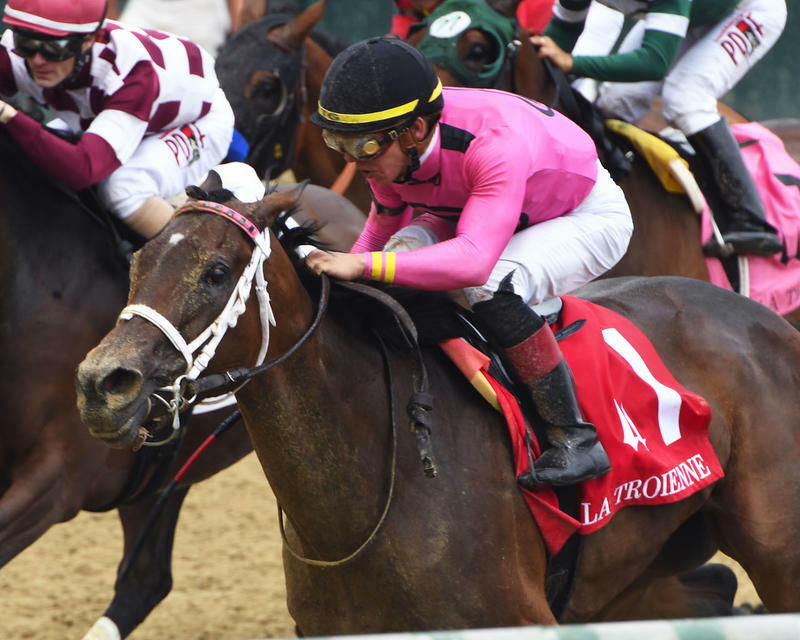 And I have the utmost respect for her, and as great a trainer as Bob (Baffert) is, it's nearly an impossible scenario, because I don't believe they're really that far apart. If you watch early on, a couple times Abel Tasman had a great trip and we didn't, and it was fairly close. And this filly is better than she's ever been. 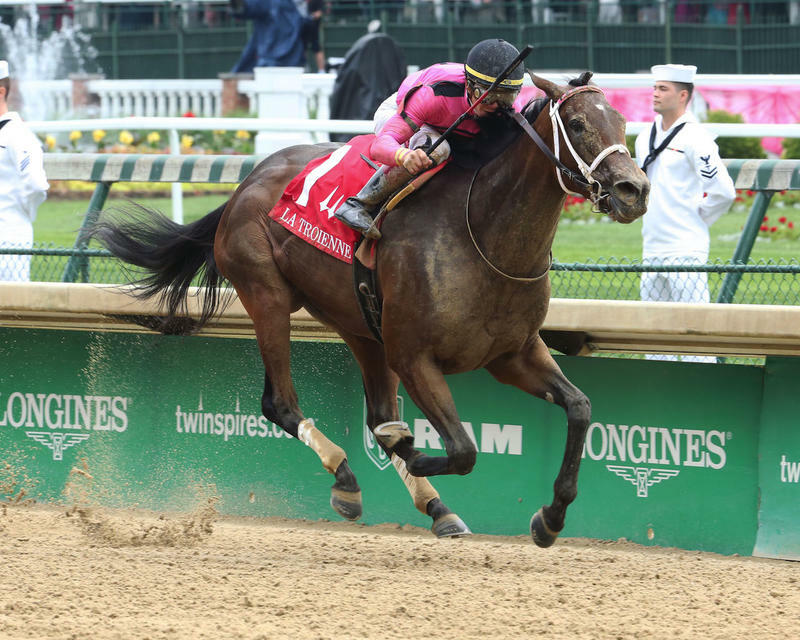 I figured if she beat us today, we were going to try her again." 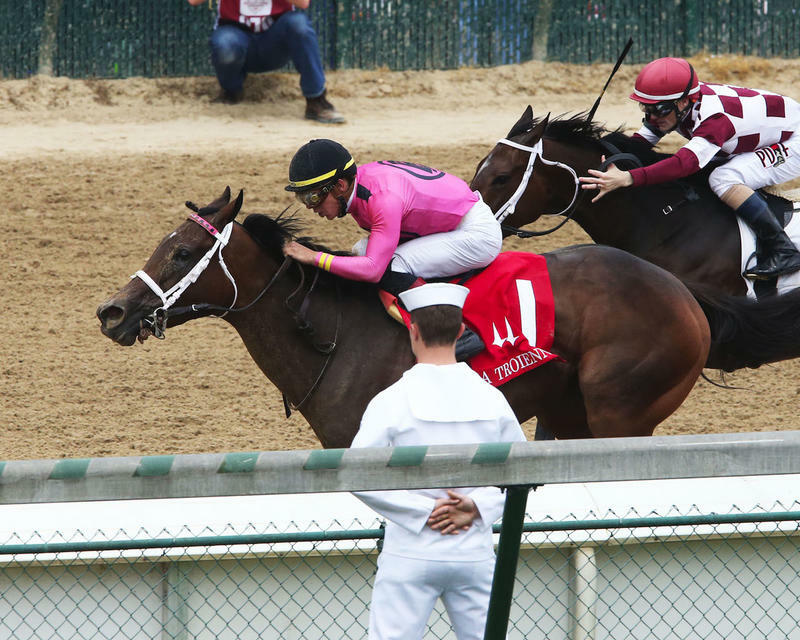 "The biggest thing with our filly is last race she didn't switch leads until about 100 yards before the wire, and it probably cost her her last race. And it wasn't from lack of trying, but Tyler knew from the beginning, he wanted to get her to switch leads. And she did it well today and you saw her, she finished extremely strong."